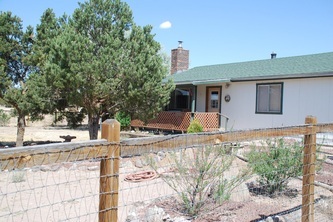 Reduced from $1,395,000 to $995,000 - SOLD! 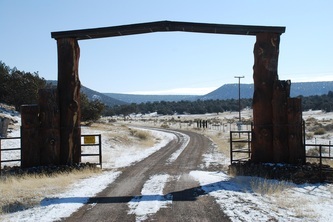 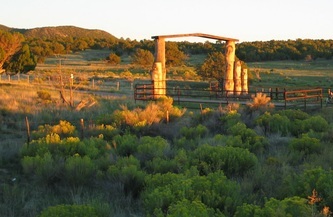 The Ghost Rose Ranch private entrance gate lies 10 miles north of Quemado on paved State Highway 36 in Catron County, New Mexico. It is approximately 145 miles southwest of Albuquerque, NM and 270 miles northeast of Phoenix, AZ in the heart of scenic western New Mexico. 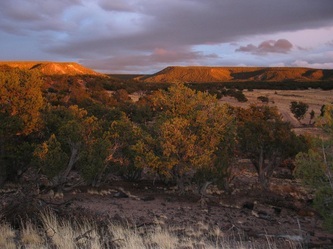 NM Highway 36 forms the west boundary of the property for 1-½ miles. 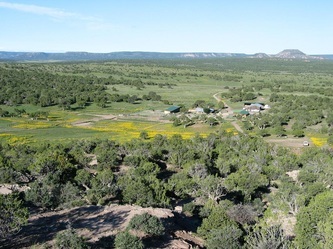 The ranch is in New Mexico Game Management Unit 12. 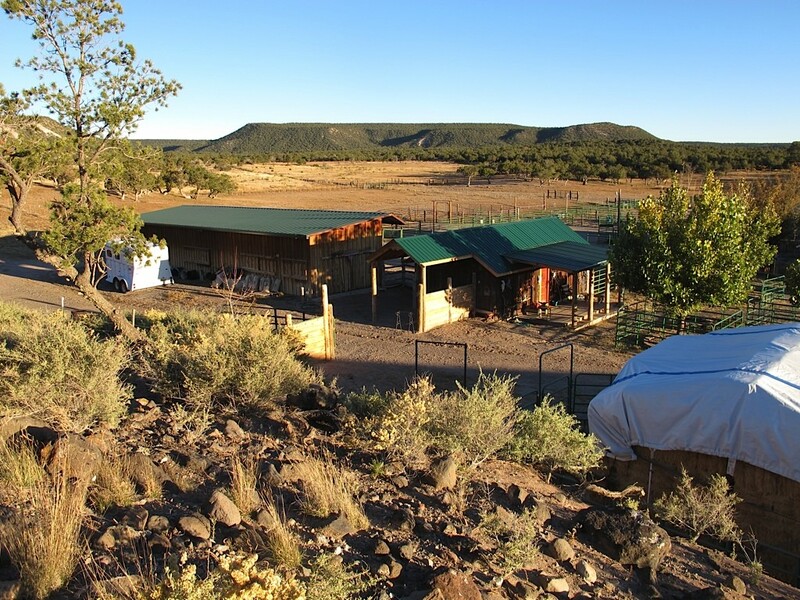 Views in all directions take in forest covered mountain slopes, great landmark buttes on the distant horizon and miles of Wild West country. 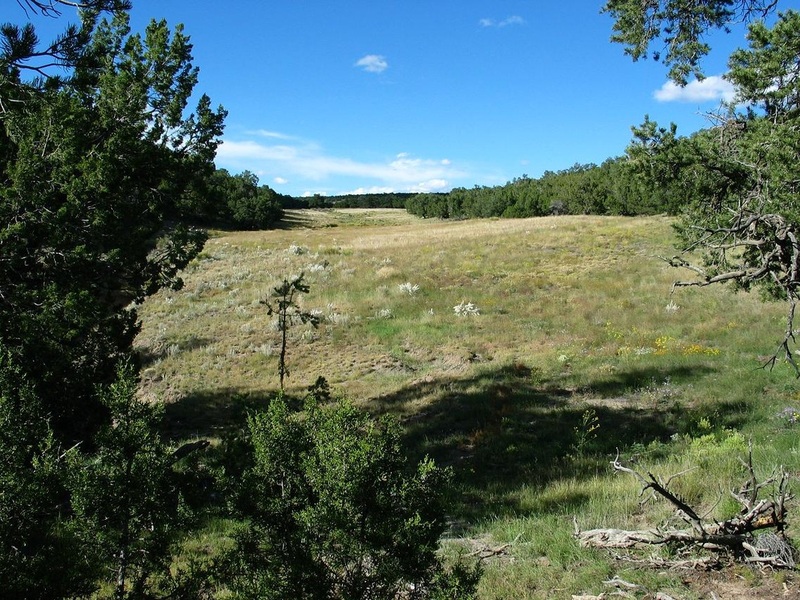 The total acreage is approximately 2,655 acres, or about 4.15 sections. 820 +/- acres are deeded with an additional 1,835 +/- acres of Bureau of Land Management (BLM lease is $ 106.65 p.a.) 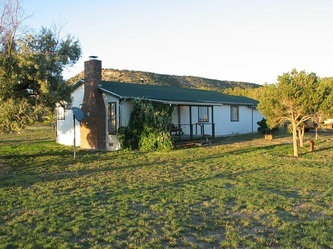 with very limited public access within the ranch boundary fence. 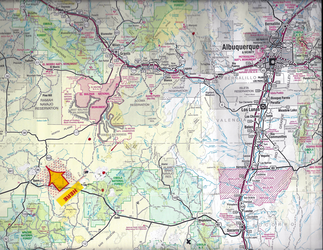 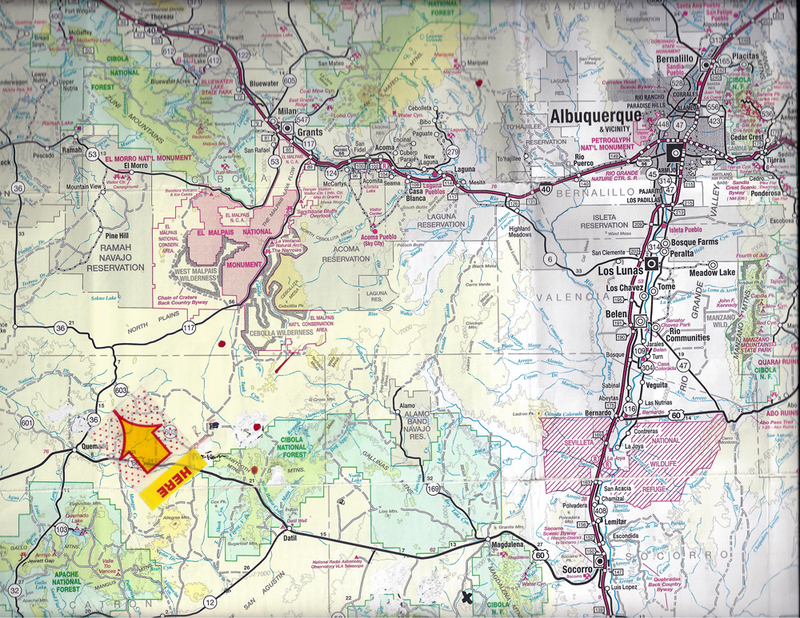 The ranch is roughly 1.75 miles north to south and 2.5 miles east to west. 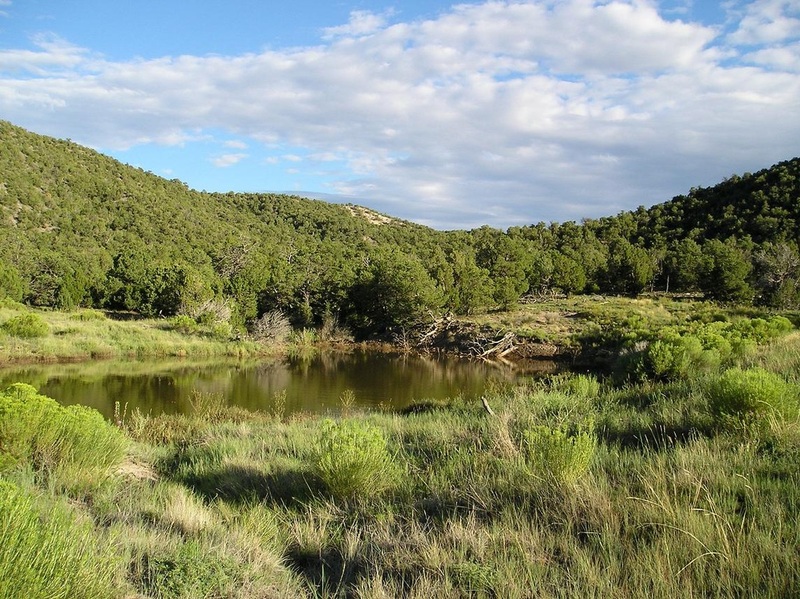 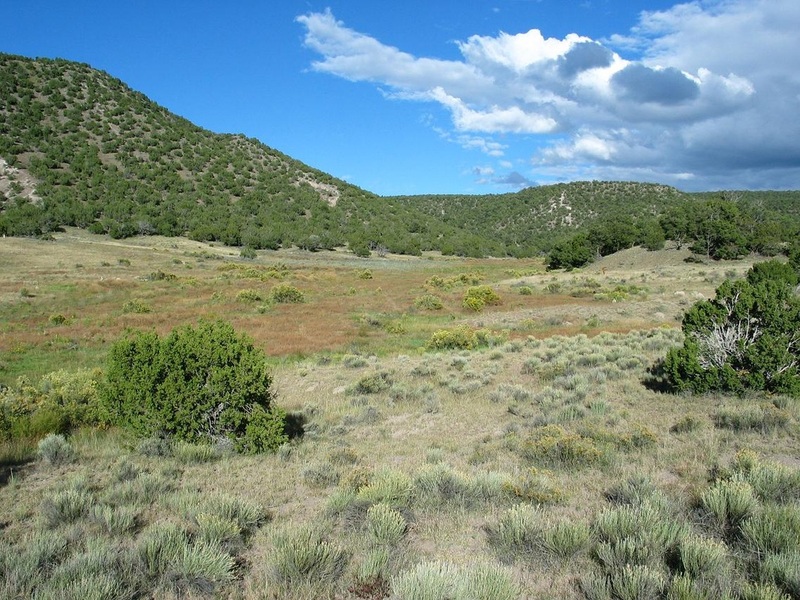 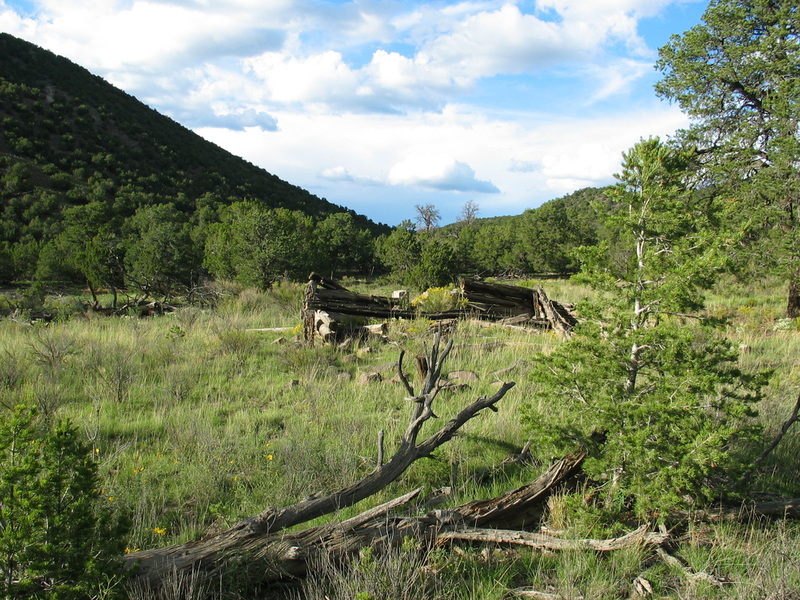 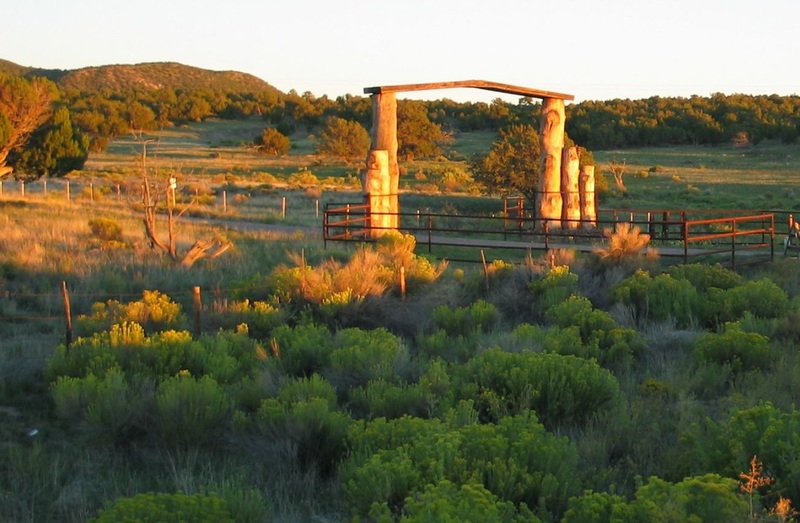 The ranch boundary adjoins additional public lands that provide more outdoor recreation opportunities. 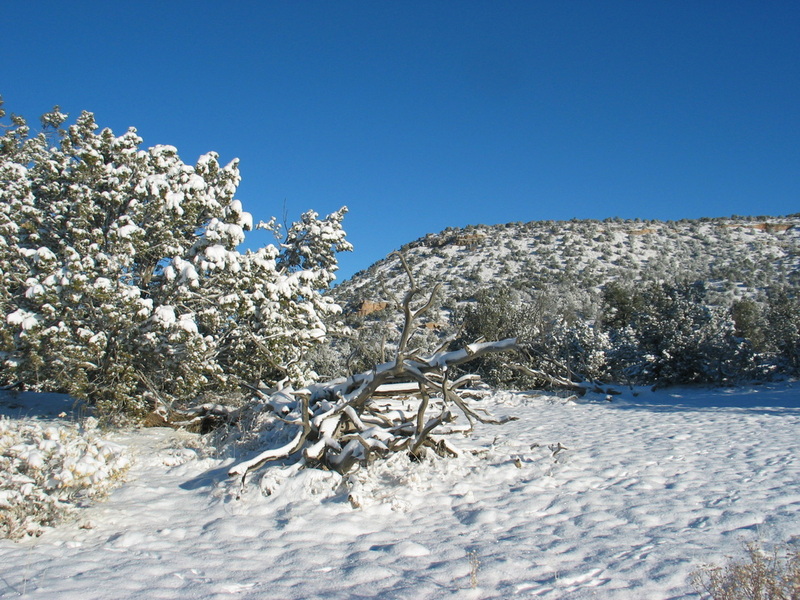 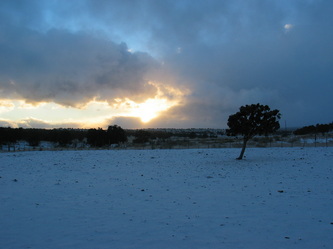 The terrain varies from open sloping grassland to pinon-juniper ridges rising to mountainous terrain with steep slopes. Elevation ranges from 7,100 feet at the main gate to over 7,900 feet on Mariano Mesa. 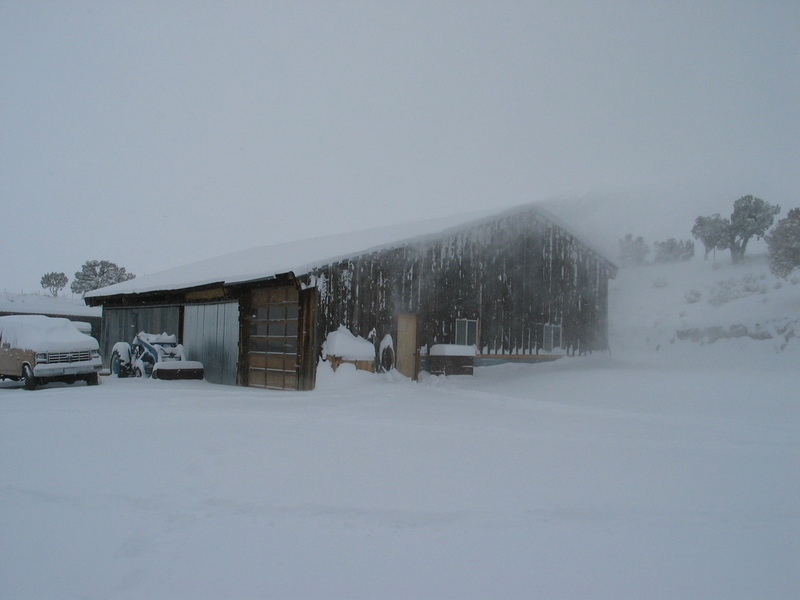 Annual rainfall averages 10 to 12 inches, with some of this coming as winter snows. 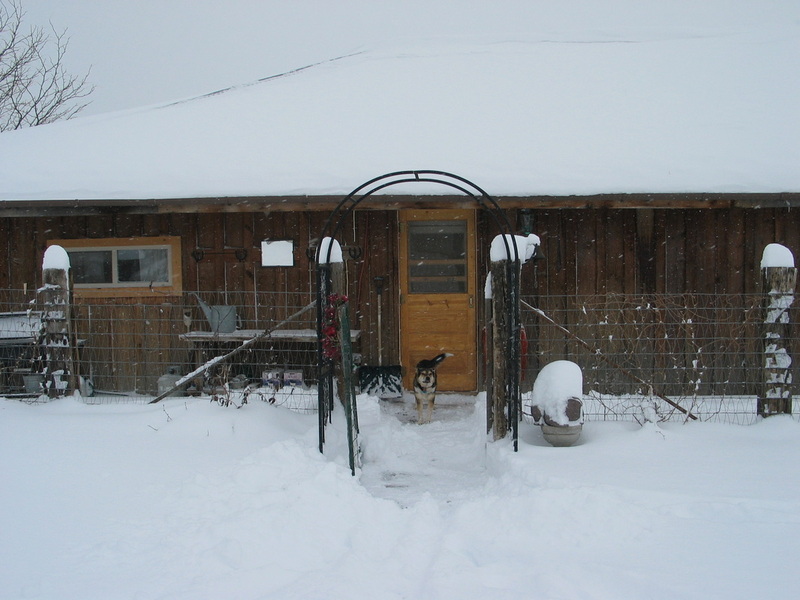 Elk, Mule Deer and Bald and Golden Eagles make their home on the property. Predators include the occasional mountain lion, bobcat and coyote. No game has been taken from the ranch in the past 15 years. 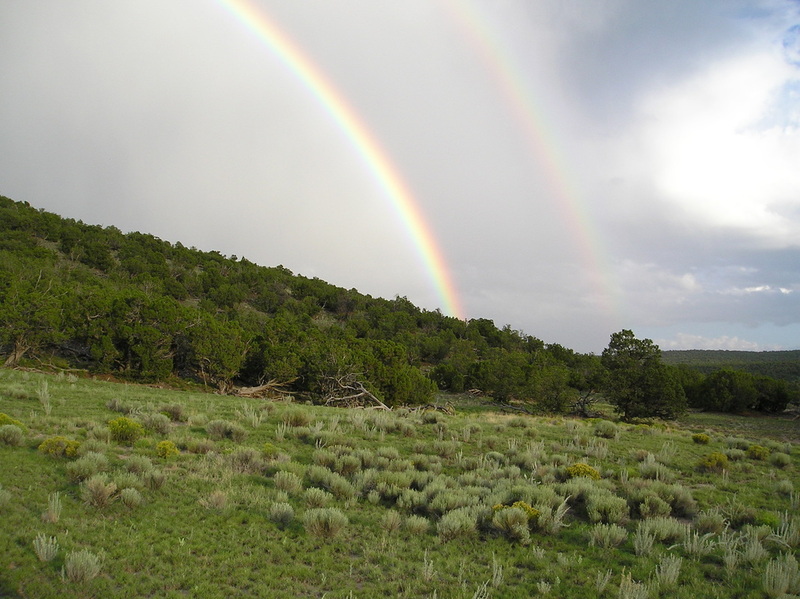 Conservation efforts have provided improved habitat and year round water sources for wildlife. 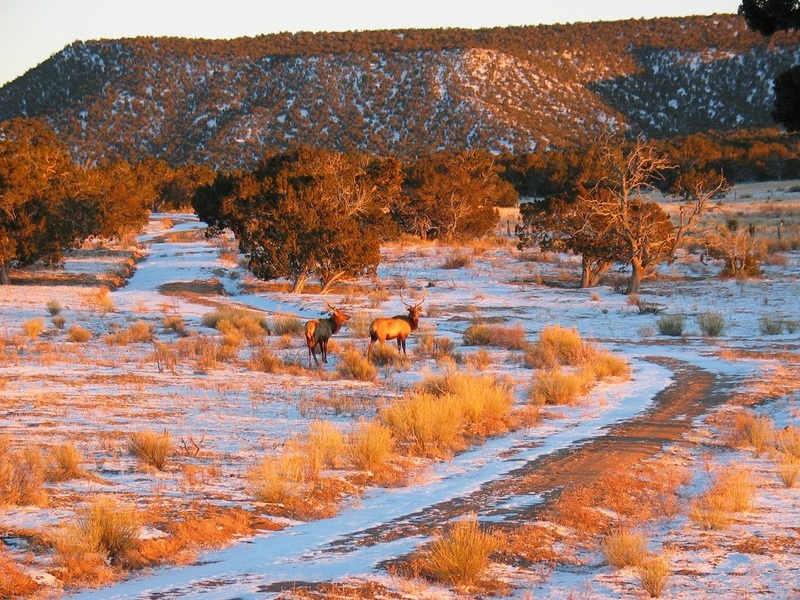 New Mexico Game & Fish have consistently been awarding 5 elk tags per year for 3 cow and 2 bull elk. 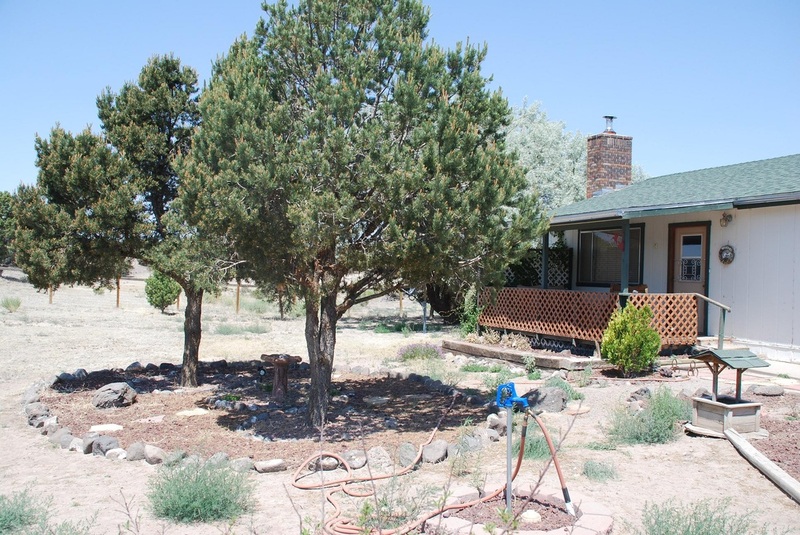 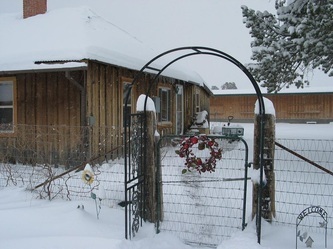 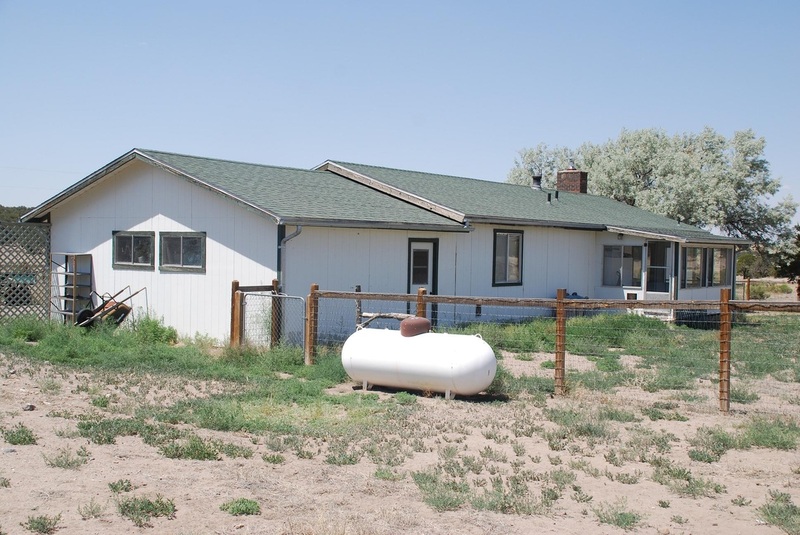 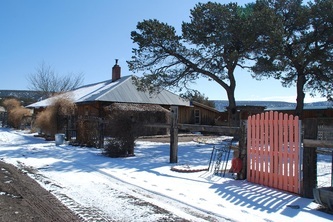 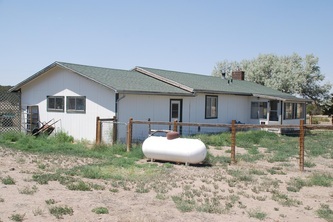 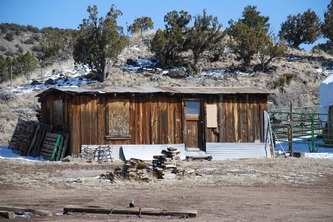 The main ranch house, located 3/10 miles from the highway, is a historic home of approximately 2,072 square feet with 2 bedrooms, an office and 1 bath. 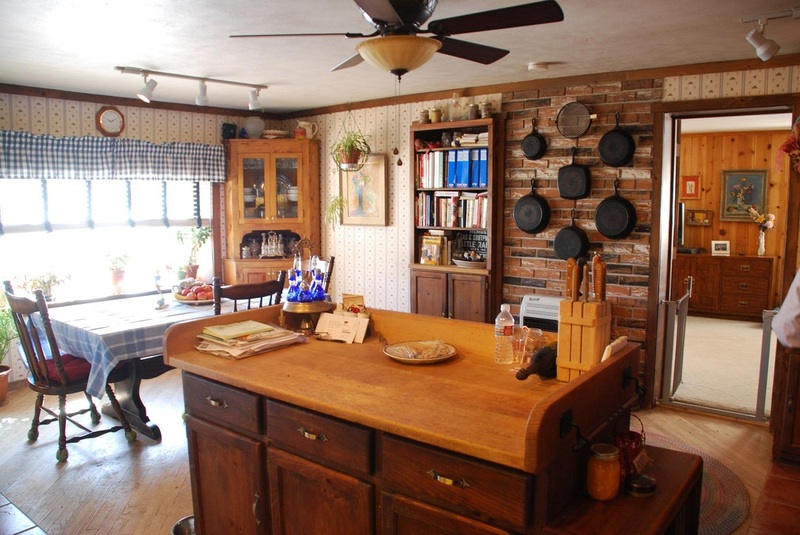 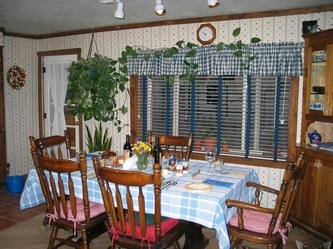 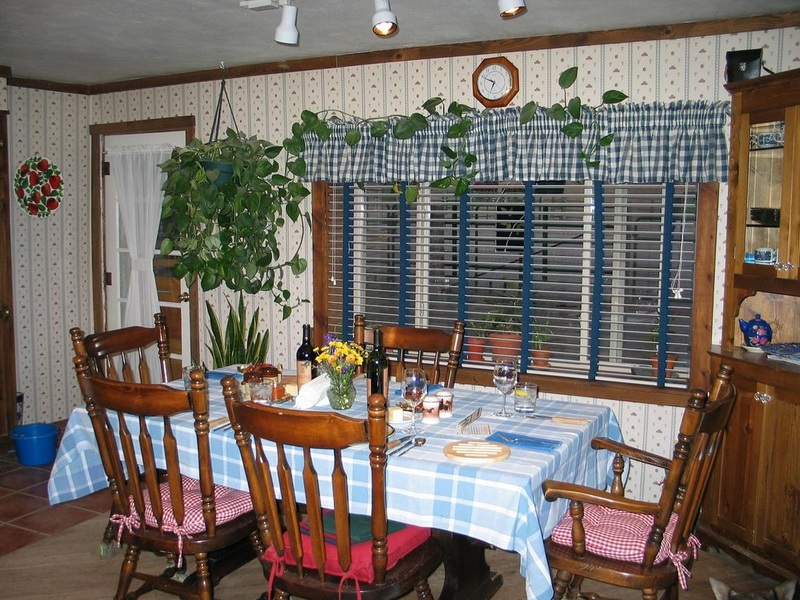 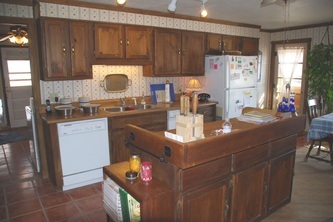 A very comfortable country kitchen is the living center of the house with its recently remodeled cabinets and appliances. 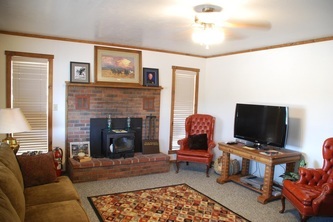 The home has ceramic tile, carpet and hardwood floors. 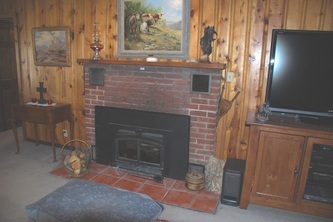 Gas furnaces, fireplace insert and wood burning stoves supply heat. 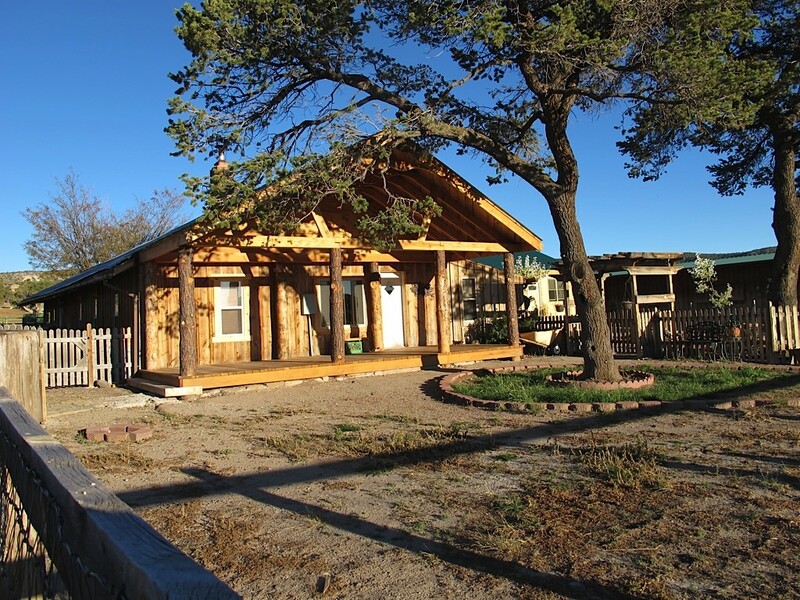 The separate foreman's house is a modern 1,152 square foot home with 3 bedrooms, 2 baths and a one-car garage. 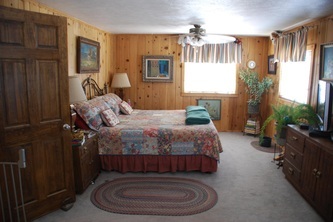 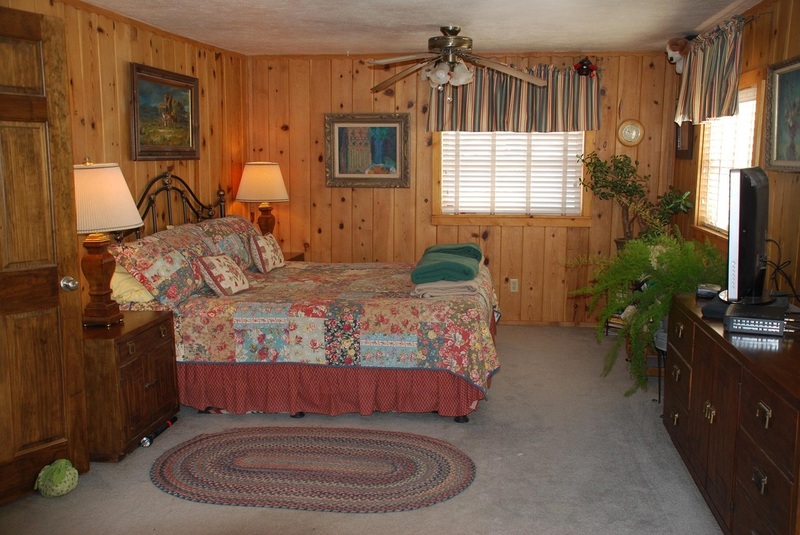 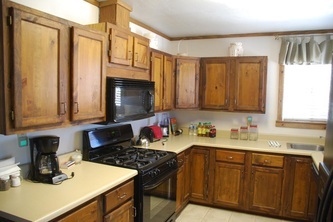 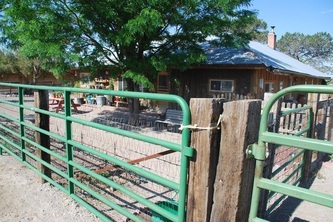 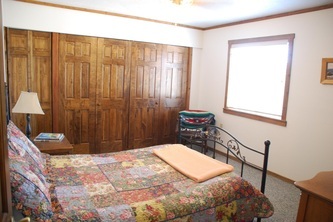 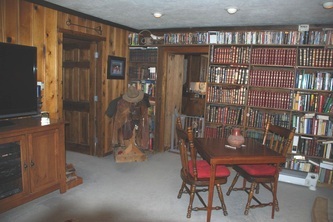 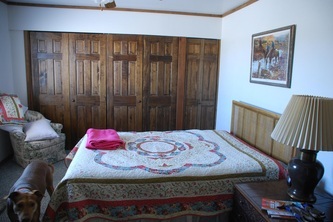 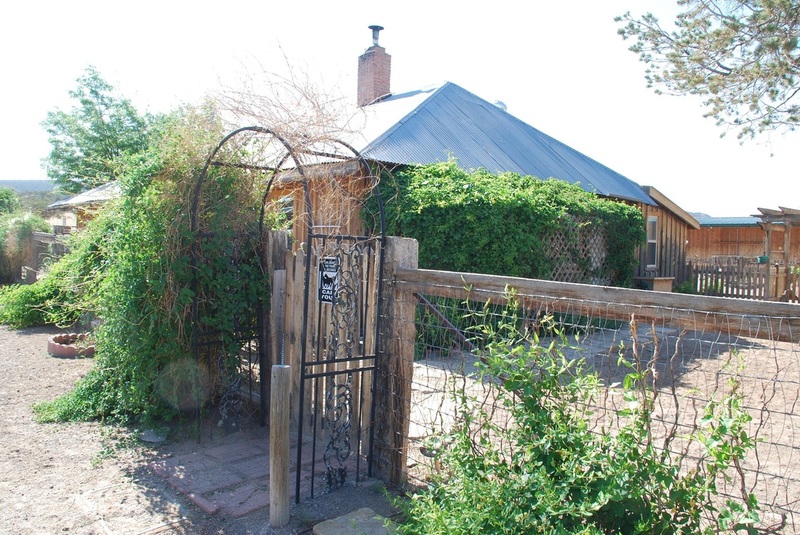 It is located between the ranch house and the entrance gate for additional privacy. 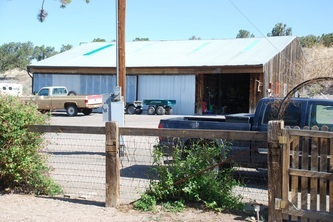 Outbuildings include a very nice 2,480 sq. 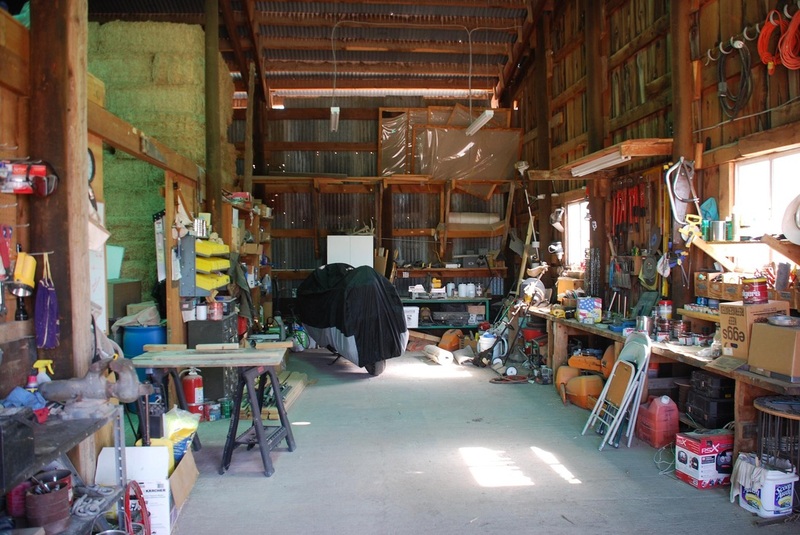 ft. shop/barn with a partial concrete floor. 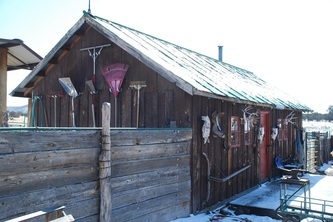 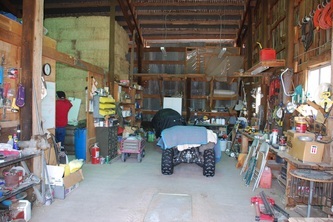 The barn is used for hay storage and also includes secured storage for personal items. 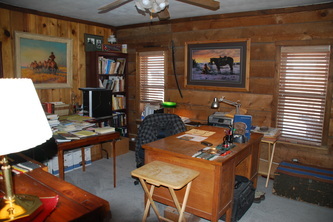 A recently completed 1,440 sq. ft. open front metal hay/equipment shed provides covered storage. A 420 sq. ft. enclosed insulated shop/storage is located inside this shed. 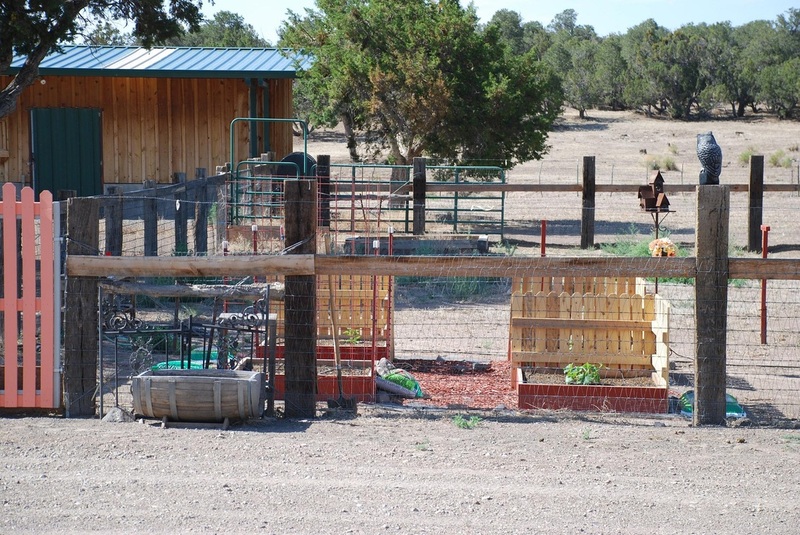 An extensive set of horse corrals have been constructed of permanently installed good quality pipe panels. 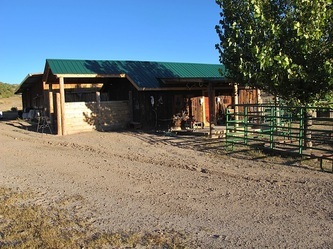 Two open fronted horse barns are located within the corrals, one featuring 7 stalls with outdoor runs and one with 4 stalls and outdoor runs. A historic cabin has been converted to a tack and feed room. 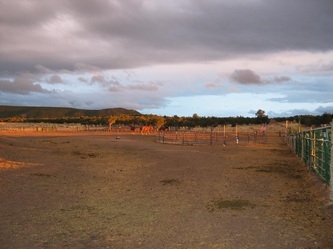 Most pasture fence gates have been converted to swinging pipe gates that can be opened and closed while horseback. 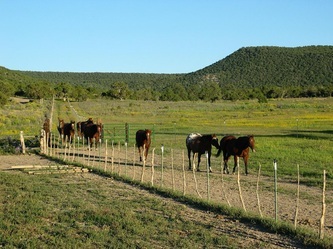 Additionally, many new wire fences are smooth wire and most steel T-posts have protective caps to reduce the chance of injuring horses. 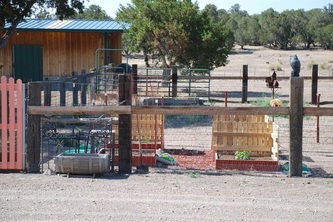 There are 3 large pastures (Crossman, Mariano and Sonoreno), and 3 traps. 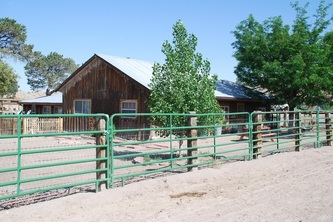 The perimeter fence is 4-strand barbed wire with many of the interior fences being converted to smooth wire as noted above. 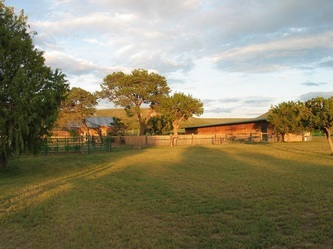 The ranch has 2 wells. 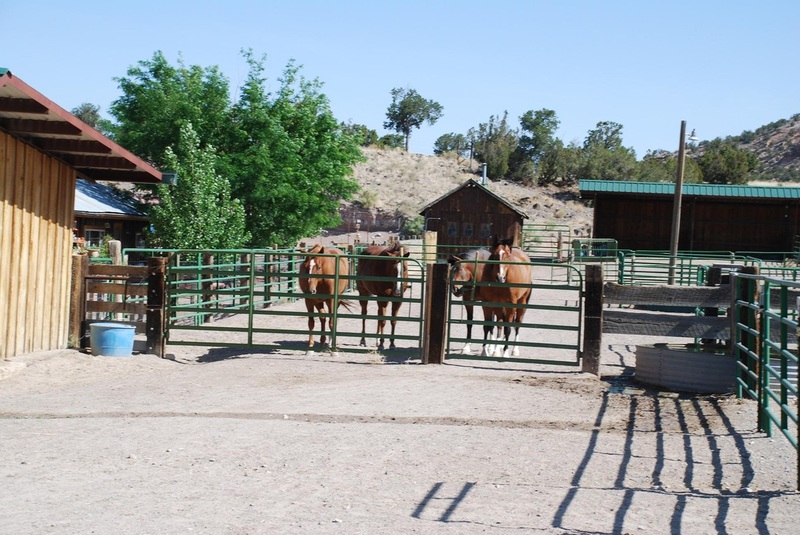 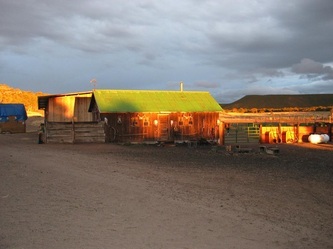 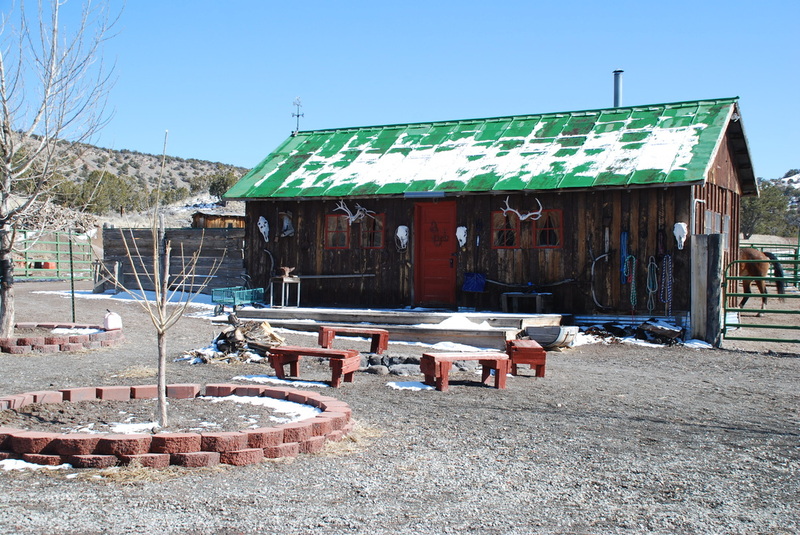 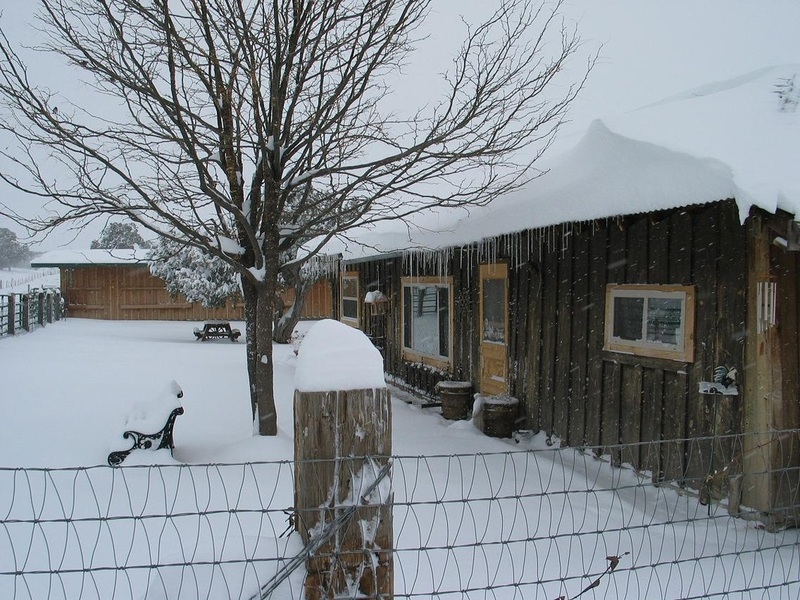 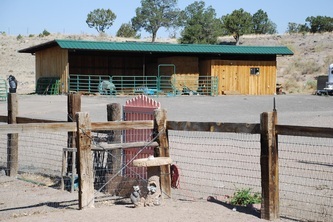 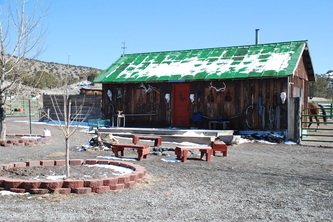 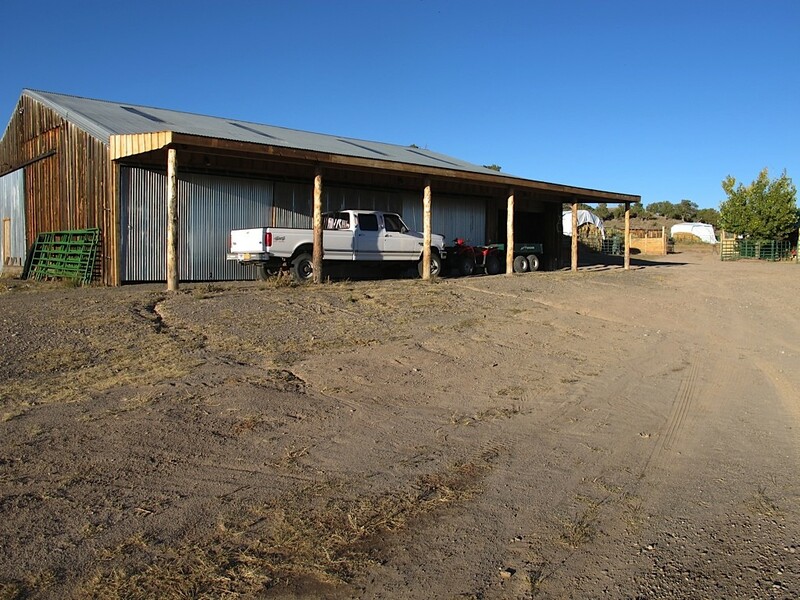 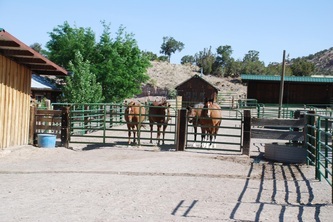 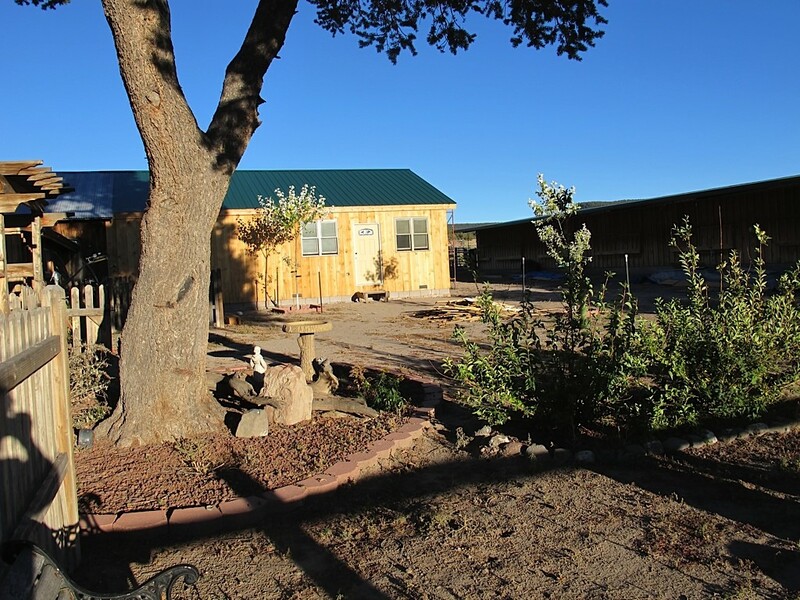 The Headquarters Well has an electric submersible pump and supplies the two homes as well as the corrals and horse facilities. 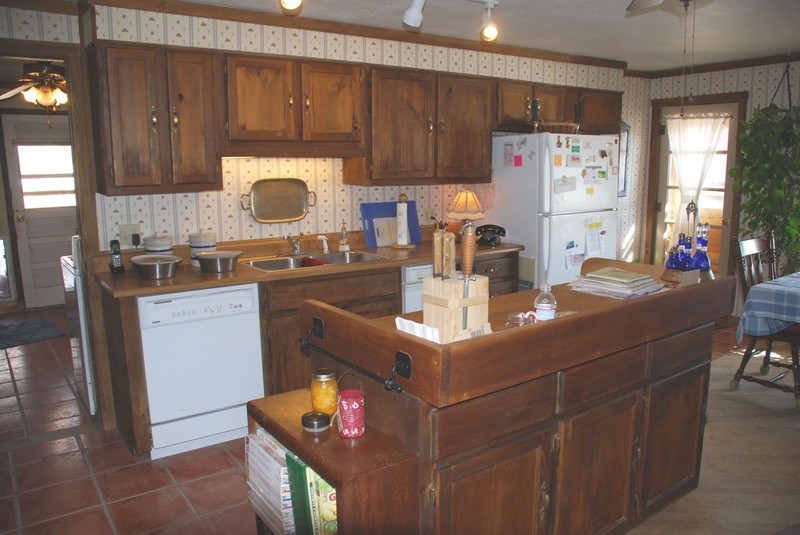 It pumps approximately 10 gallons per minute. 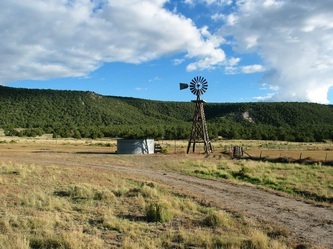 The Crossman Windmill is centrally located on the ranch and supplies the pastures. Additional dirt storage tanks provide separate seasonal water sources in the canyons. 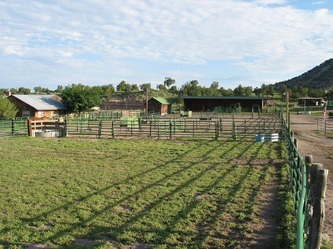 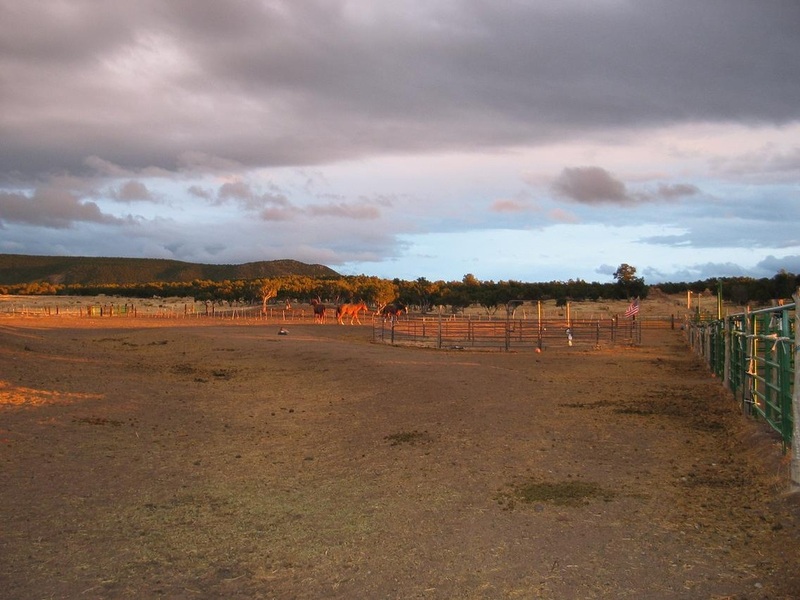 The current owner has a very nice horse operation and has not been running cattle. 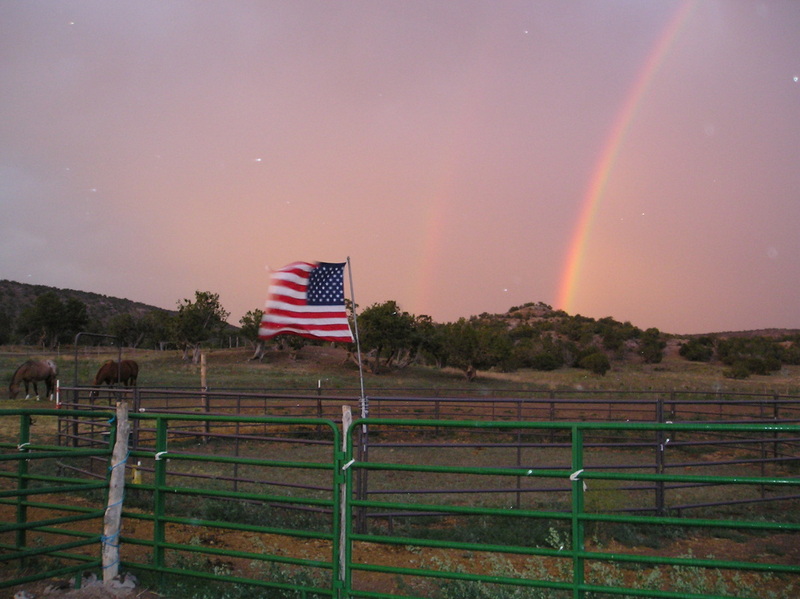 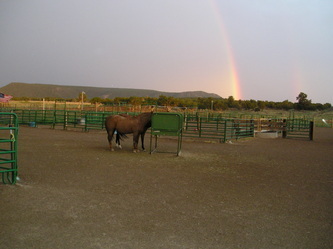 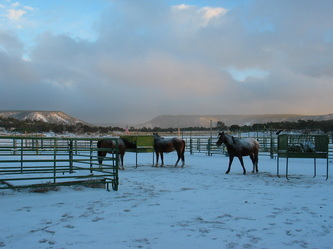 BLM recently rated the entire ranch for 13 horses or 16 cattle year-round. 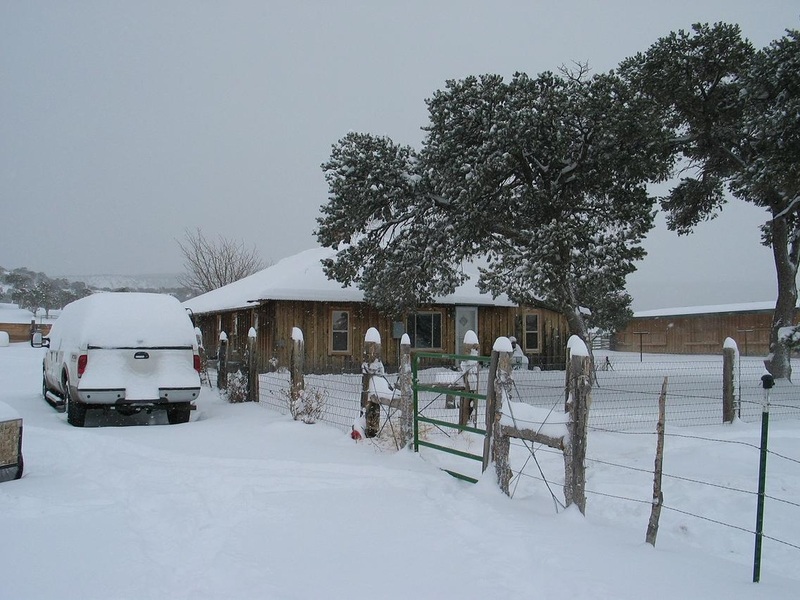 Electricity is provided by Socorro Electric Co-op and Telephone service by Western NM Telephone Company. The local LP gas distributor delivers propane. 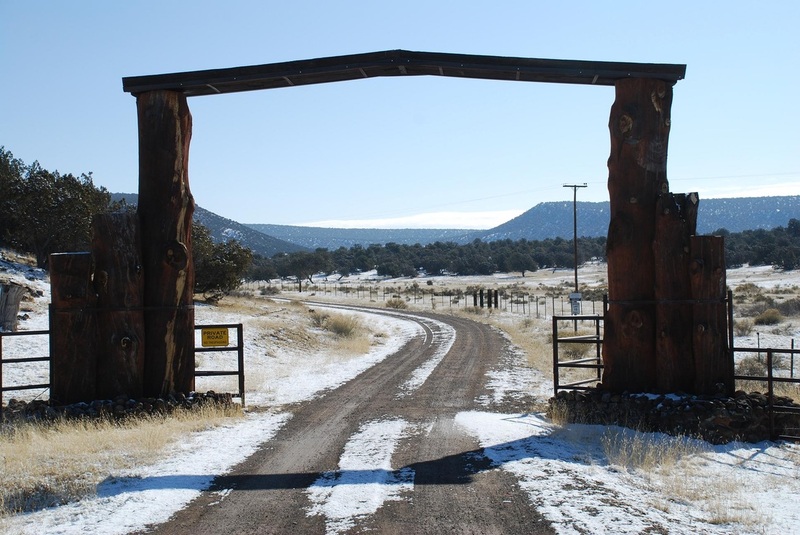 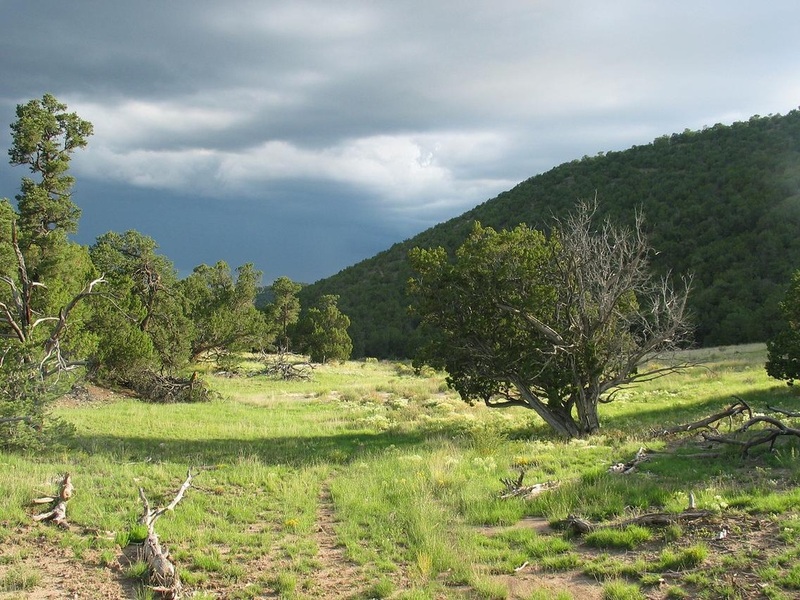 The Ghost Rose Ranch is a beautiful western New Mexico ranch that contains everything the discriminating ranch buyer seeks. 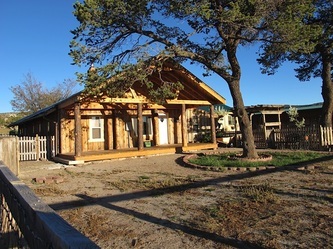 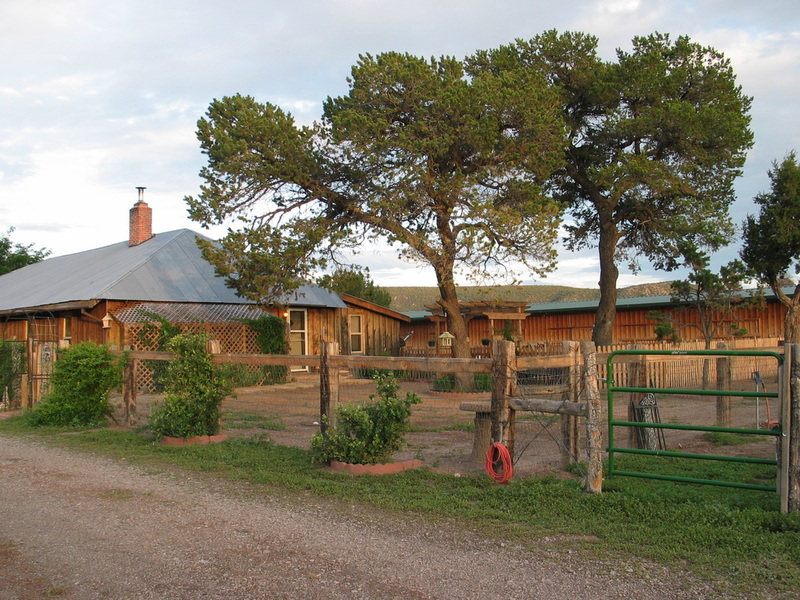 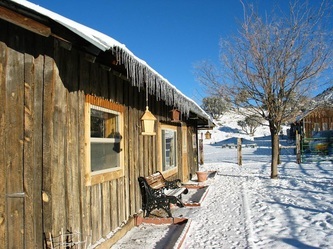 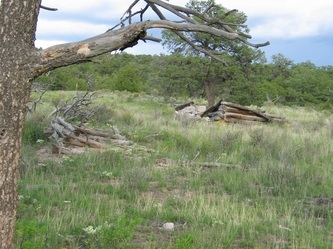 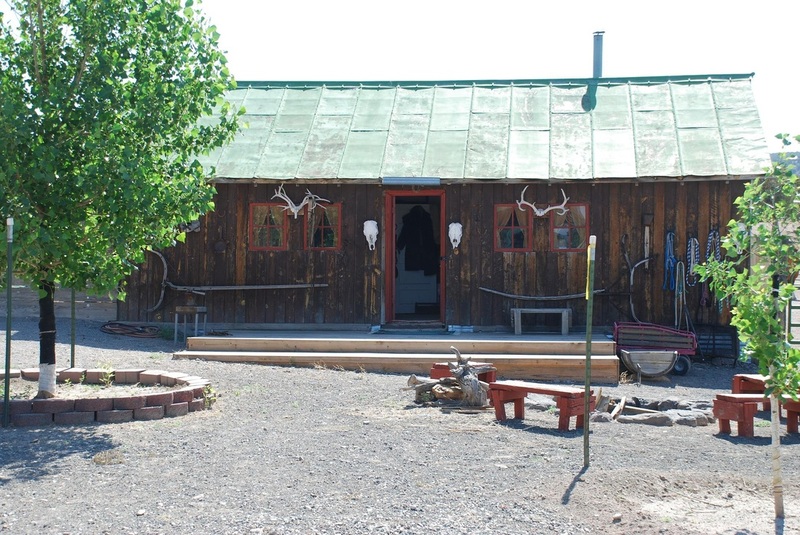 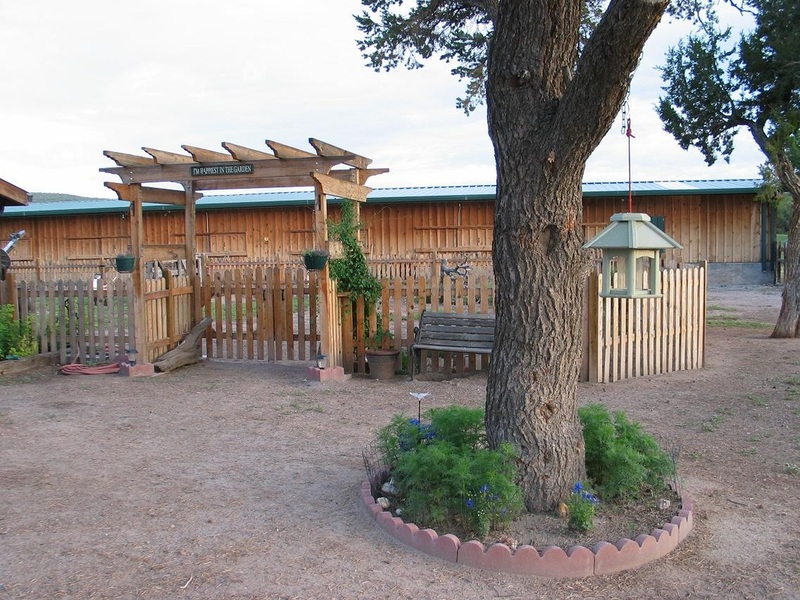 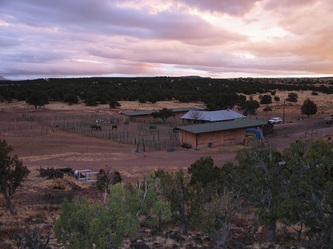 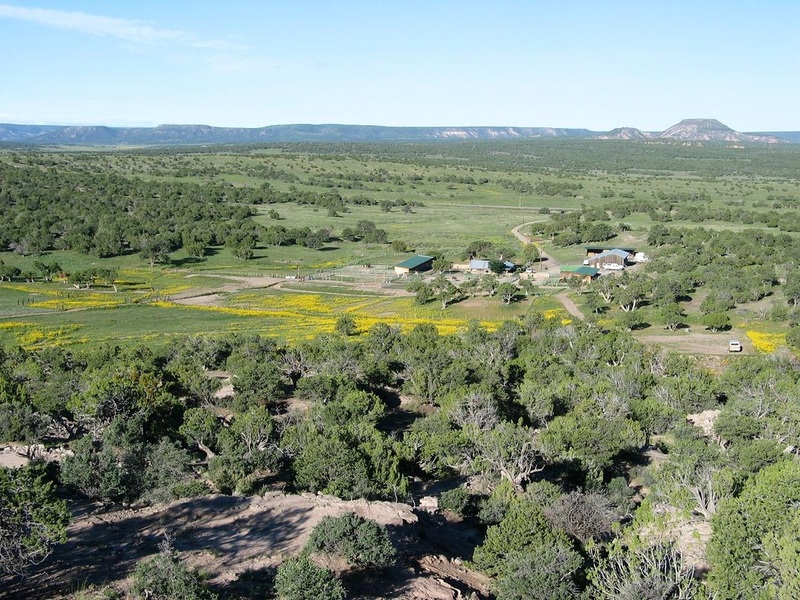 It has beautiful scenery, absolute privacy, a unique historic home, a great set of horse or cattle facilities, and it is located in some of the best big game hunting areas in New Mexico. 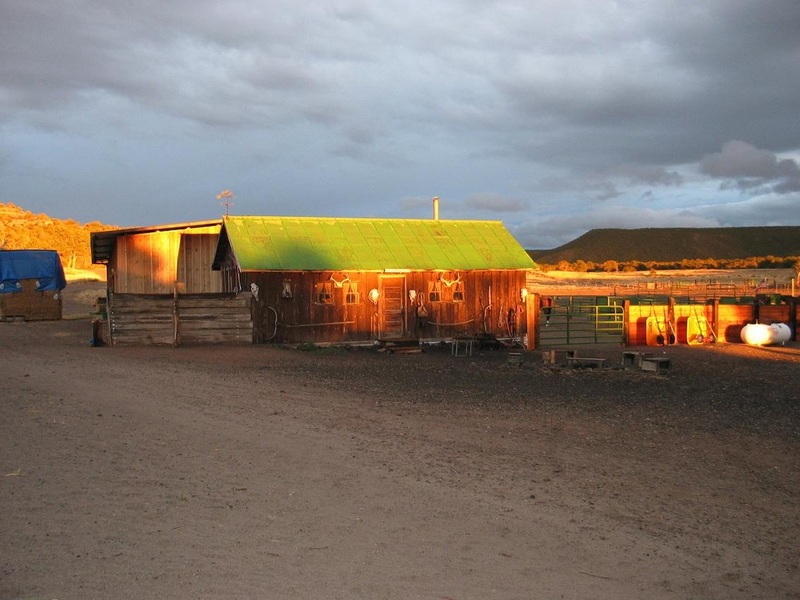 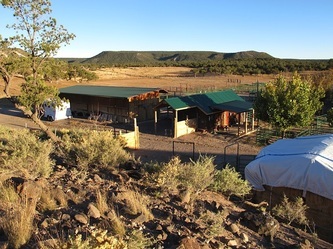 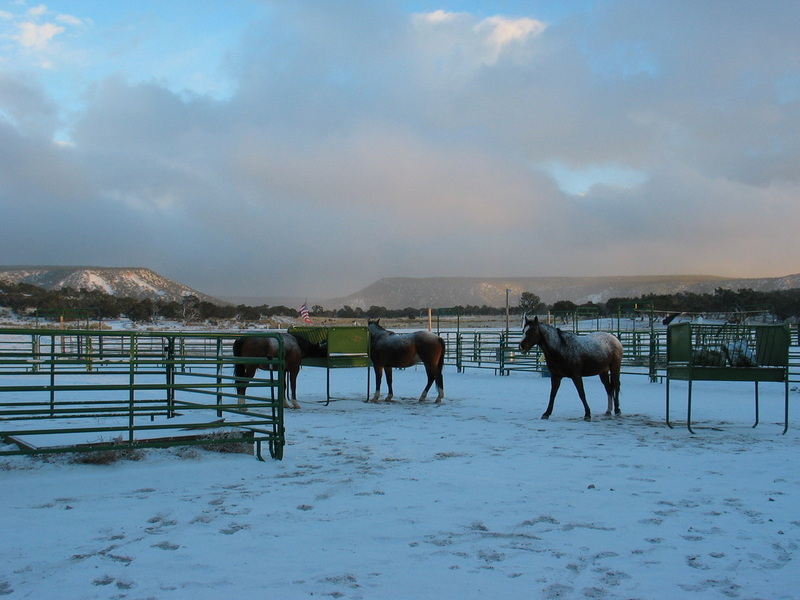 Only 2 hours from the Sunport International Airport in Albuquerque make it perfect for an upscale horse operation, or as a base of operations for a guide/outfitter business. Some ranch equipment and high quality horse hay will be included in the sale.